Jia Aur Jia Review: A film marred by weak script and poor storytelling! 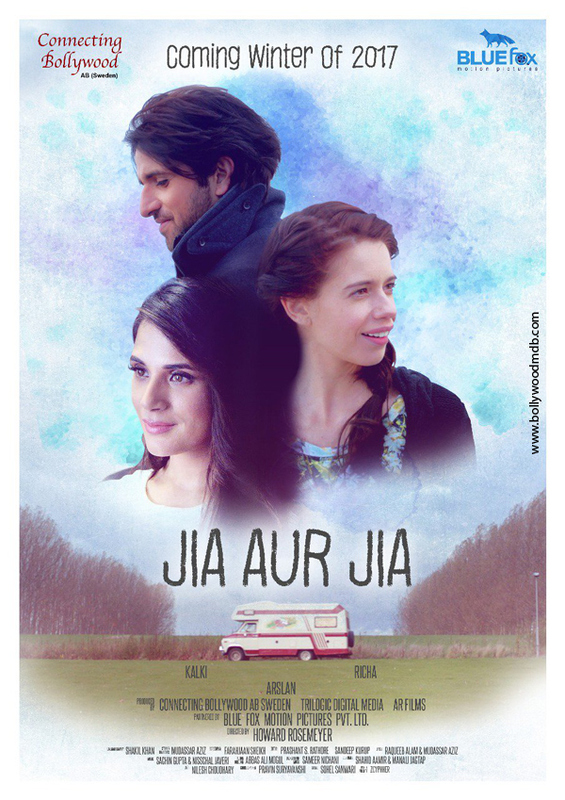 Starring Richa Chadda and Kalki Koechlin in key roles, Jia Aur Jia is a female-centric budget trip film releasing on 27th October. Two unknown girls, who share the same name, meet in Mumbai for a budget trip in Sweden and thus begins a journey of self-exploration. The story of the film revolves around two dramatically opposite girls Jia Venkatram (Richa Chadda) and Jia Girewal (Kalki Koechlin) who go on a budget trip in Sweden. Jia Venkatram is a self-centred and reclusive girl. She’s a successful businesswoman in India, but currently she is going through a lot of issues in her professional and personal life, which lead to depression. She has some secrets burrowed deep within her heart but does not let them on ever. On the other hand, Jia Girewal is a free-spirited, full of life girl, far from Venkatram. She wants to enjoy every moment of life without thinking about any consequences. She can derive fun even from the most mundane things of life. But she too have a secret which she has not shared with Jia. How Jia Venkatram and Jia Girewal’s life changes after a point and what are the secrets both are hiding from each other are the factors which form the crux of the story. Richa Chadda and Kalki Koechlin play leading roles in the film. There is no denying the fact that both are two extremely talented actresses of Hindi cinema and have proved their mettle time and again. But in Jia Aur Jia, they fail to weave any magic simply because of the film's poor script and trashy dialogues. They try their best to put up a great show but somehow you just stay clear away from investing your emotions in the film. Actor Arsalan Goni, who makes his Bollywood debut with the movie, disappoints big time. He needs to work really hard on his skills, especially his expressions, before taking up another project. How often have you seen a film which entirely revolves around women and experiences they go through in their life? Not very often, right? There have been many films on male-bonding in Bollywood from Sholay to Dostana, but movies on female-bonding are rare because for many filmmakers that is an extremely tough territory to enter. Films featuring two or more men are made repeatedly because they draw audiences to theatres, female buddy films don't and hence many attempts are not made to produce such films. But debutant filmmaker Howard Rosemeyer takes up the challenge and come up with a film like Jia Aur Jia. You may find many issues in the film but you can appreciate him just for making this attempt. He tries his best to deliver a product that is appealing but its appeal fizzles out too soon because of not so powerful script in hand and also a sloppy execution. I hope the director hons his directorial skills some more before attempting next feature film. Besides Richa and Kalki, what else you notice first in the film are its exotic locations. The film has been shot across some breathtakingly beautiful locations of Sweden. Camerawork by Shakil A Khan is decent. Editor Sandeep Kurup does not do a satisfactory job. Production value of the film is decent. Jia Aur Jia is made on a shoestring budget, but it does not look a small-budgeted film thanks to its production design. Composed by Nisschal Zaveri and Sachin Gupta, the music of the film is passable. All songs are situational which may go with the flow of the narrative, but are not good enough to hum later. Except Naach Basanti, which has some quirky lyrics and is shot beautifully, there is no other song in the movie which is memorable. Overall, the soundtrack of Jia Aur Jia is very average. If you are thinking that Jia Aur Jia is your regular Bollywood masala potboiler, then you will gain nothing except disappointment. It’s a slice-of-the-life film peppered with a few beautiful moments strewn here and there. The film basically targets the metro audience, especially the multiplex audience. But it lacks substance to hold their attention thoroughly. Nil publicity is going to harm the film more than its weak plotline and sloppy execution. Aditi Rao Hydari opens up about being in Mani Ratnam’s third film! If time permits, Yuvraj Singh can be seen in the season 2 of ‘Inside Edge’! Here’s the revived version of peppy song Mehbooba from Fukrey Returns!